We offer you access to our private server through the best encrypted applications on the market. 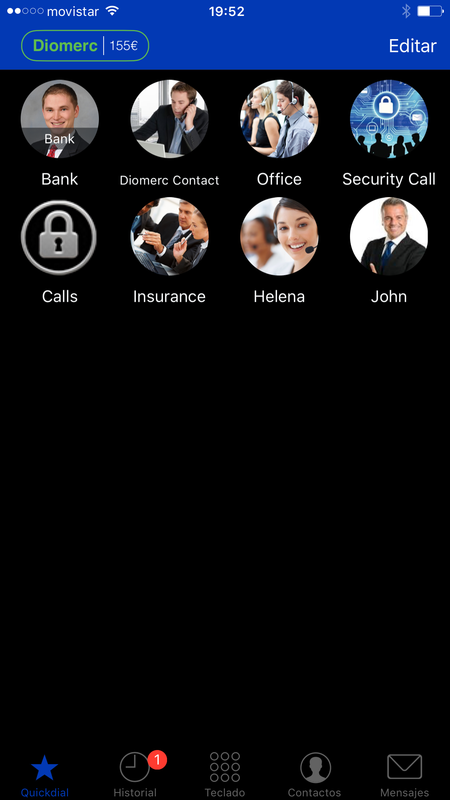 Diomerc is the mobile solution for companies and individuals who want to make secure calls between their smartphones. 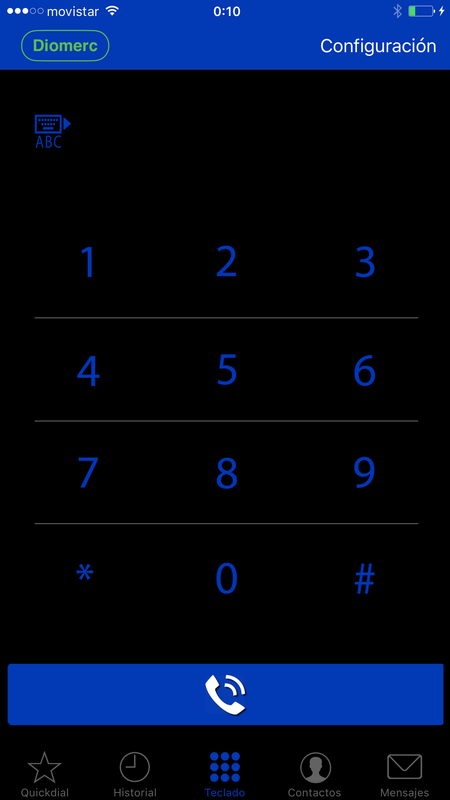 Calls are encrypted using 256-bit AES and dynamic key negotiation, for each call. The technology uses VoIP (SIP TLS and ZRTP, the recognized protocol of Phil Zimmermann). The communication is done through our own Diomerc SIP server. The most effective way to maintain privacy in your conversations. Incoming calls via PUSH notifications. G.729 codec Audio data compression algorithm for voice that compresses voice audio into 10 millisecond bits. Chat encrypted to communicate between our users, instant messages without a trace. It is a web application to communicate with your account, which runs from the browser and desktop applications for Mac OS X and Windows. We charge a fee for the account, so we don’t need to sell your data or your privacy, as all the “free” services found online. Our server does not keep data of calls that pass through it, in addition the information passes completely encrypted and free of metadata. We offer you applications to use with our secure server, applications that have been reviewed by us, with the best and safest encryption systems. Our applications come preconfigured and ready for you without complex configurations. It’s a web application to comunicate with your account, which runs from the browser and desktop applications for Mac OS X & Windows. Each user acquires a completely private card in which a user name and password appear. To acquire your user account contact us to tell you the nearest reseller. 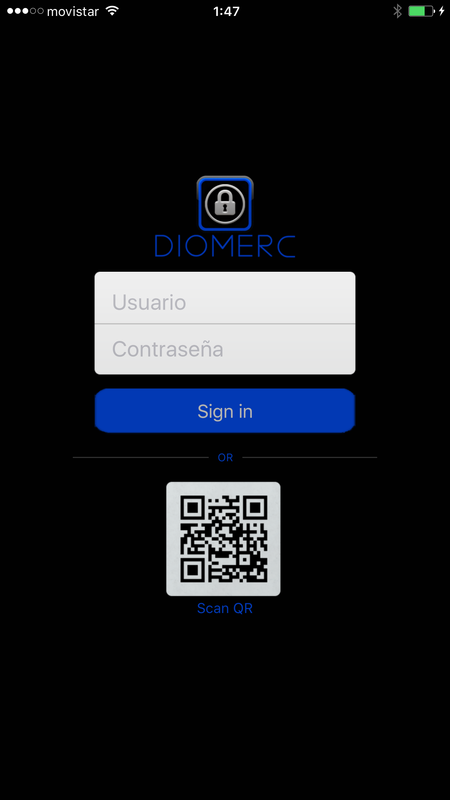 You must download the DIOMERC Application from your Play Store or iTunes and enter the data of the card at the start of the App. To get in touch with other customers you will have to look for them with your username. From that moment on, you will be able to make calls safely, so nobody can intercept them or listen to their conversations as our system has terminal-to-terminal encryption. We ensure maximum privacy in your conferences. In order for your calls to be secure, they can only be made between DIOMERC users. The application must be running on both devices for operation. We charge a fee for the account, so we do not need to sell your data or your privacy, as do all the “free” services found online. Our server does not keep data of calls that pass through it, in addition the information passes completely encrypted and free of metadata. Our accounts are not linked to your phone number, to contract your customer account you can do it by anonymous payment methods that not relate to your credit card or bank account. Contact us to find out about our secure communications service. The app lets you make calls and send messages and attachments to your friends in the Diochat network. Diomerc guarantees absolute privacy for all communications from companies or individuals. Diochat is communication application explicitly tied to Diochat Server and requires an administrator generated account for login. If you do not have an account given to you by your company, operator or Diomerc company, you will not be able to use the application.